The last light of a west Texas sunset glances across the smaller peaks of the southern Chisos mountains. 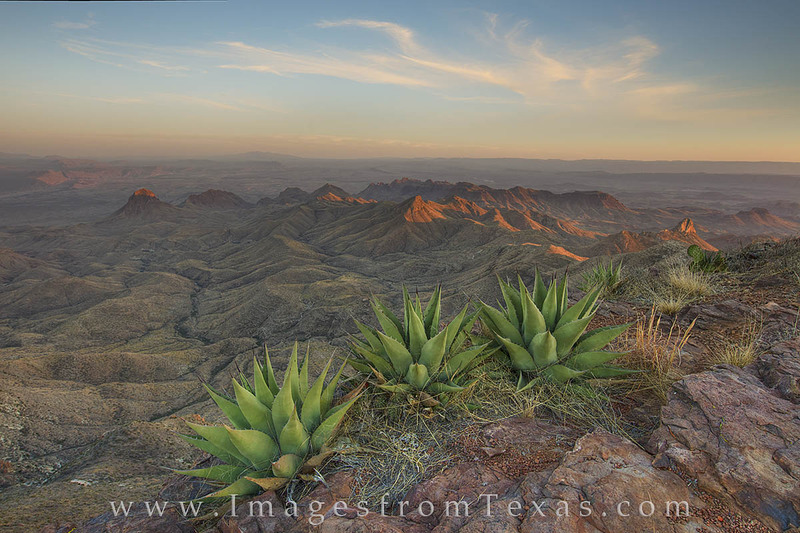 This is the remote Texas landscape as seen from the South Rim at sunset. The hike to reach this amazing location is about 13 miles round trip - more or less depending on your chosen route. Agave and Prickly Pear cacti line the edge of the 1,500 foot cliff and seeminly serve as barriers to keep a person from tumbling over the edge. Photo © copyright by Rob Greebon.